All you need is love… and a dog! 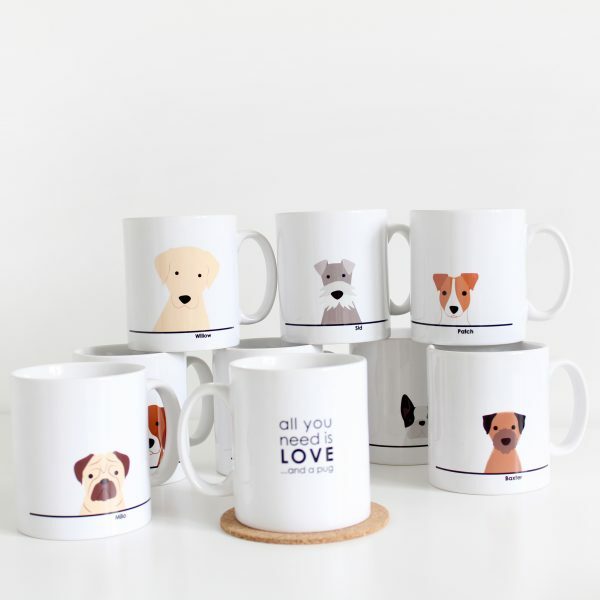 Send this adorable mug to someone who loves their Dog. 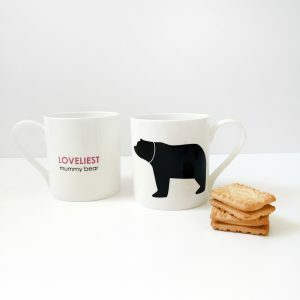 You can personalise the mug with the dog’s breed and name making it a truly unique gift. 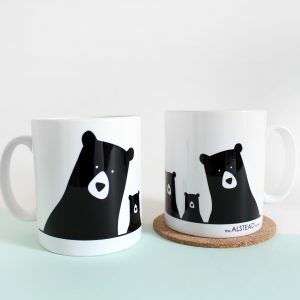 Each mug is hand finished by us in our studio. This listing is for one mug only. 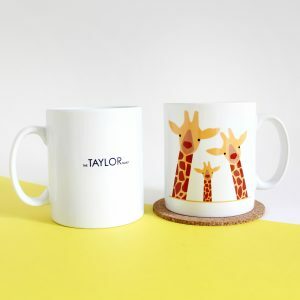 The mug is part of a collection of mugs, prints, cards and gift wrap. Check out our shop to see the full selection of products. This product can be personalised. Please ensure that you check the spelling of your personalised text, as this cannot be changed or refunded after printing. 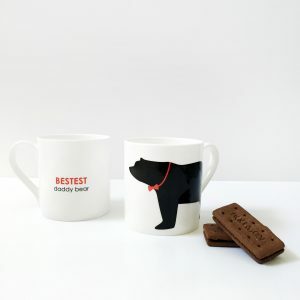 These ceramic mugs are dishwasher safe at low temperatures, but we would recommend hand washing them in order to keep them looking their best.